In the world of Information Technology, there are many help desk certifications that can be obtained. Many technology companies offer help desk certifications for their systems and applications. These help desk certifications focus on server administration, programming, security, ITIL, networking, customer service, and many other areas. A certification will recognize an employee’s accumulated training and experience in a subject area that meets a standard proficiency. While certifications can be important, certifications should not be the only and final measurement of an employee’s ability in your help desk. An employee’s real-life work history applying the knowledge with successful and measurable outcomes.is arguably the best gauge of an employee’s qualifications to work at the help desk. With that said, some of the most important certifications for help desk are listed below. Information Technology Infrastructure Library (ITIL) is a framework focused on the alignment of IT services with the needs of the business. The framework allows for people and resources to have common terminology and set of practices. The initial ITIL® certification is called ITIL® Foundations. This requires 20 hours of classroom training and passing a certification exam. The help desk agent will learn about topics such as incident, problem, and change management. This knowledge will be important to understand incident prioritization, known error handling, working with knowledge, linkages between all of the disciplines and understanding on how changes impact the environment. The Support Center Analyst classroom training focuses on techniques for customer interactions, troubleshooting skills, call handling, active listening skills and an overview of some ITIL disciplines. All of the subjects taught in this course are directly related to a help desk agent’s duties. After successfully completing the course, students can become certified by passing the exam. CompTIA A+ Certification is related to the competency of computer service professionals in configuration, maintaining, upgrading and operating computer hardware and operating systems. While the certification is vendor-neutral, it focuses on PC hardware and peripherals, mobile device hardware, networking and troubleshooting hardware, and network connectivity issues. This is a vendor-neutral networking certification. Employees that have a Network+ certification have the basic knowledge of troubleshooting and managing wired and wireless networks. While most help desk agents do not need network skills at an administrator level, successful help desks will have some agents with a network background of troubleshooting basic network related issues. The two main certifications for AppleCare are an Apple Certified Mac Technician (ACMT) and an Apple Certified iOS Technician (ACiT). Employees of companies who possess these certifications can allow the company to become an Apple-authorized service facility to perform warranty and repair work without void a warranty. A modern Help Desk will leverage network-based phone systems with a call management controller to route calls based on programmed logic. Certifications are available for the administration, configuration, and troubleshooting of call management systems. 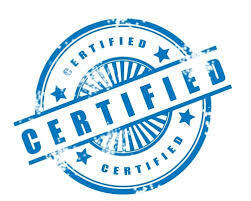 The type and level of certification is based on the manufacturer you use in your company. Workforce management is focused on the planning, staffing, and scheduling of resources to meet the customer support demand of your help desk. Workforce management is can be a specific role or part of help desk management duties. There are many manufacturers of workforce management applications and most of the major manufacturers have certification tracks, which focus on labor scheduling, work data collection, leave management and activity management.